What to do after a long day–and night–at the Illinois State Fair? The after-Fair, after-hours mecca for everyone from carnies to Hell’s Angels to local movers and shakers was the Skyrocket Tavern, right across the street from the main pedestrian entrance at Gate 2, near the intersection of Sangamon Avenue & Peoria Road. Thanks to Scott Welsh, son of the tavern’s last owners, Peter and Barbara Welsh, we finally have some photos to go with memories he shared on my blogsite in 2014. Peter Welsh bought the Skyrocket and the house next door in 1963 from Ules Rose after going to work there in 1958. The tavern had been opened by Lithuanian-American Kostie Welch (Wilcauskas) in 1945, then bought by Rose (whose daughter Barb married Charlie Foster, Jr., the son of Ann Mosteika Foster, long-time music director and organist at St. Vincent de Paul Lithuanian Catholic Church). All seven Welsh children and their mother Barbara worked in the tavern at one time or another, and its position next to the Illinois State Fairgrounds attracted a cast of characters few places in town would see. According to son Scott Welsh, “It was an education for all of us. The stories of the SkyRocket are legend, including visits from the Hell’s Angels, dignitaries hanging out late night, and many ‘disagreements’ between patrons handled with flying fists. My dad Pete ran a tight ship and was respected by most for not putting up with a lot of problems. He was smart in that he hired off-duty sheriff’s deputies as his bar ‘backs’ and doormen. “There were many great characters that frequented the Skyrocket, and a few infamous ones. Sunday breakfast conversations between Mom and Dad usually consisted of a list of people who became ‘barred,’ and asked not to return. You could write a book just about the carnies who came in every year. Skyrocket bar, undated. Pete Welsh at right edge. From Debbie Rogers Greenan, Memories of Springfield June 2016 blog post. “I remember a guy named Studley Jefferies, who had formerly worked for the Busch family at Grant’s Farm in St. Louis. He spent his later years working at the barns on the fairgrounds. Some of these people didn’t have family, and my Dad would invite them to Thanksgiving dinner, much to my mom’s chagrin. He inherited a long-time bartender named Frank Ballog, who was a true gentleman bartender. He was missing an index finger, and told me a girl bit it off when he tried to kiss her. “The SkyRocket featured mostly country-rock music with bands like Gail Day, Country Dawn, and many other local groups. “During Fair Week, there was always something happening. For many years, my dad Pete had his own beer truck in the parking lot. In about 1975, when I was 10 years old, I once hawked every space in the parking lot for $3 each. I thought I was rich, but Dad was so pissed I took all the spaces, he had smoke coming out of his ears! “The SkyRocket served food until the late 1960s, then only during Fair week, when my mother ran the kitchen. Interesting in that she grew up right across the street from Bozis’ Tavern, and down the street from Alby’s (two other Lithuanian-American taverns). “My Dad, Pete, was a professional baseball player. He came to Springfield in 1956 to play in the Jack Rossiter Baseball Camp (former St. Louis Brown) at Memorial Field. He had been signed by the Washington Senators the year prior. He rented a room from my Great Aunt Wanda Bierbaum, and met my mother on a blind date when she was 15. The family lived in the house next door to the tavern until its seventh child was born and they moved to Lake Springfield in 1968. Thornton Oil purchased the land in the early 1990′s. Graphic Designed by William Cellini Jr.
First in a series by William Cellini Jr.
One hundred years ago this June, the United States sent its first soldiers to fight on the bloody battlefields of France and instituted its first nationwide military draft. Among the several thousand Central Illinois men who served in the World War I American Expeditionary Force, I have identified some 40 Lithuanian-born (and Lithuanian-American) soldiers, five of whom lost their lives. The war had already been going on for three years by April 1917, when the U.S. joined the battle in Europe on the side of the U.K. and Ireland, France and Imperial Russia (the Triple Entente) against Germany, the Austro-Hungarian Empire, the Ottoman Empire and Bulgaria (the Central Powers). At the time President Woodrow Wilson asked the U.S. Congress for a declaration of war, the nation’s military preparedness was low. The U.S. government had downsized the military after the Spanish-American War, public anti-war sentiment was strong, and the nation had a political mindset of isolationism. To get around public resistance to the war and to raise the necessary manpower to fight on a global scale, Wilson initiated the nation’s first Selective Service System, whereby males of a certain age—both immigrants and native-born– were universally required to register for a military draft. There were three (plus one extra) national registrations during the war: June 5, 1917 for men ages 21 to 31; then, June 5, 1918 for men who had reached age 21 after June 5, 1917. Next came a supplemental registration in August 1918 for men reaching 21 after June 5, 1918 (due to Congressional adjustment of the draft age). Illinois State Register, July 21, 1917. Inset photo: 2nd draft lottery, NY Journal American from the Harry Ransom Center, University of Texas at Austin. Yet in the midst of war, several in this series of bios deliberately and patriotically entered the citizenship process knowing it would cancel their military exemption and permit them to be called up. To reward the patriotism of immigrants who filed their intent to become citizens to make themselves eligible for military service—as well as aliens already in service when the U.S. declared war–in May 1918, the U.S. opened an expedited path to citizenship for all its non-citizen soldiers. The U.S. citizenship process typically involved a five-year U.S. residency requirement and then a two-year waiting period between the declaration of intent and the petition for citizenship. In its May 1918 Act, Congress allowed immigrant soldiers without “first papers” to skip the residency requirement and be naturalized at U.S. military camps or in courts near the camps. For those with first papers, the waiting period between their declaration of intent and petition for citizenship was abolished, as were the fees for their citizenship processing. All of these perks were offered only if the soldier remained in service and if he swore a loyalty oath. Conversely, by 1918, declarant aliens who requested conscription exemption or discharge from the army were disqualified from the citizenship process. The timing of the 1918 Act caught many immigrant soldiers already in the trenches overseas. These were men who’d registered for the draft in June 1917 and who subsequently had been called up and shipped to France by mid-1918. Taking advantage of their new expedited path to U.S. citizenship required them to obtain battlefield signatures from their commanders and comrades-in-arms acting as witnesses. Out of all Lithuanian immigrant soldiers from Central Illinois who served during WWI, research indicates five died during their service to the country: Stephen Shvagzdis [Švagždys]; Walter A. Rauktis [Raukitas]; Tony Pranchewicz [Pranckevičius], Joseph Kowlowsky, and John Kedis. In Bubnis’ case, being sent to a development battalion could have meant he either was not fluent in English or needed instruction, or that he may have been previously injured but did not qualify for immediate discharge. Further research indicates Bubnis was discharged at Camp Taylor, Kentucky, on December 20, 1918. 11,000 U.S. soldiers bound for Europe aboard the U.S.S. Leviathan, WWI. Army Historical Series–The Army Medical Department, 1917-41, Mary C. Gillette. Born August 24, 1893 in Wilkes-Barre, Pennsylvania, he was the son of James [Džeimsas] Kasper [Kasparaitis or Kaspariūnas] and Marcella Tonila of Springfield. He served as a member of Company K in the 21st Infantry Regiment. According to a regimental history published on an infantry website, in March 1916, the 21st served on the border of Arizona and California countering Mexican insurgency. In April 1917, the regiment was transferred to Camp Kearny in California, where it was assigned to the 16th Division. Its mission was to train U.S. Army units for deployment to France. While it is not known if John Casper went overseas, he was issued a WWI Victory Medal in March 1921 for his time in the service. The Illinois State Register noted that medals were being awarded to men who had “any service with the U.S. Army with honorable discharge between April 6, 1917 and November 11, 1918.” John married Celia Patterson in 1919. He died November 24, 1963 in Springfield, and his obituary confirms that he was a “WWI veteran.” Celia passed away in 1974 in Menard County. Born April 1, 1896 in “Sedix, Russian Empire.” He listed himself as a coal miner at the Tuxhorn Coal Company in Springfield at the time of registering for the draft in on June 5, 1917. He was a declarant U.S. citizen at the time of registration, and so he was in the process of being naturalized. Although he listed a dependent (his mother) at the time he registered, he was sent to training on April 29, 1918 at Camp Dix, New Jersey, and was assigned to the 78th Infantry Division. According to U.S. Army transport lists, Gabalis departed for Europe in May 1918 on the HMS Kashmir from Brooklyn, New York. He sailed as part of Company E in the 303rd Engineer Battalion, 78th Division and served in France. He returned to the U.S. from Bordeaux on May 24, 1919. Gabalis eventually moved to Detroit, where he worked as a machinist. He married Stephanie Paleckis, but was a widower by 1929. John Levonas Gabalis died on February 15, 1974 in Detroit. Born in Illinois c. 1892 to Lithuanian-born parents, Anton and Anna Gaygus of Virden. Tony registered for the draft in Sangamon County in June 1917 and left for Camp Zachary Taylor, Kentucky, on February 24, 1918 with a group of recruits from Springfield. Among them were Lithuanians Joseph Petrushunas, Frank Petrowich and Charles Raczaitis. Gaygus was subsequently sent overseas (with a stop in Quebec, Canada) and he returned from Saint-Nazaire, France, on the transport ship USS Edward Luckenbach on April 3, 1919. At the time of his return home he was a Corporal in the 362nd Infantry. Born March 15, 1887 in Lazdijai, Alytus County, Lithuania. He emigrated to the U.S. via Bremen, Germany, in 1902 and worked as a coal miner at the Peabody Mine in Sherman, Illinois. Gibas made his declaration of intent to become a U.S. citizen in 1910 and by 1915, he had been naturalized. At the time he registered for the draft in June 1917, he was listed as single. In January 1918, his name and address (North Fifteenth Street) were among those listed for men called-up by the Sangamon County Draft Board. Draft board group of 75 men, April 28, 1918, Springfield, Ill. From The Honor Book of Sangamon County 1917-1919. He subsequently entered into service on April 28, 1918 as a Private in Company B, 14th Battalion, United States Guards. He was trained at Camp Dix, New Jersey, with at least two other Lithuanian-born local soldiers. It is not known whether he was subsequently sent overseas, since no return passage for him from France could be found. Gibas was discharged January 31, 1919 at Camp Grant near Rockford and went back into coal mining. For a time, he was living with other Lithuanian boarders on the North End of Springfield. William Gibas died on December 13, 1954 in Springfield with no apparent heirs, per the information supplied in his obituary. Born October 10, 1889 in Viešintos in the Anykščiai district, Utena County (named for the Viešinta river). Glemza emigrated to the U.S. in 1912, arriving in Philadelphia. He quickly became active in St. Vincent De Paul Church by organizing the choir and serving as the full-time organist and church maintenance man. Glemza was also very active in supporting international recognition of Lithuania prior to the U.S. entry into WWI, and is mentioned in an October 1916 Springfield newspaper article as serving on a committee at St. Vincent de Paul Church organized at the time U.S. President Woodrow Wilson publicly recognized the plight of the Lithuanian people as war refugees. As quoted in the Illinois State Register at the time, “…divided between Germany and Russia, the Lithuanians serving in two opposing armies are compelled to slay each other. Since the very start of the war, Lithuania became the scene of the most horrible struggle ever enacted on the face of the earth.” In March 1918, only a month after Lithuania’s formal declaration of independent statehood, Glemza was a delegate to the New York Lithuanian General Assembly formed on behalf of a free Lithuania. He had registered for the draft in June 1917 in Springfield, and May 1918, amid his pro-Lithuania political activism, he was called to U.S. military service. He had first applied for citizenship in 1913 and he re-applied on July 17th while in training at Camp Zachary Taylor, Ky. After training he was sent to France with Company B, 5th Battalion, 22nd Engineers. In a November 6, 1918 news article in the Register, Glemza wrote from France saying, “Everyone here thinks the war will be over soon…The four friends of mine who I left with are still with me, and I am mighty glad, for it would be pretty lonesome without them.” Glemza returned to the U.S. as a Private First Class in Company P, 22nd Engineers, via Saint-Nazaire, France, on June 12, 1919 aboard the USS Princess Matoika. Also on board were Stanley Petrokas and Joseph Muchakites [Marciukaitis]. On the ship manifest, he lists his closest contact in the U.S. as “friend, John Czuberkis,” then-pastor of St. Vincent de Paul’s. In 1922, Glemza left Springfield to take a position as an organist at a church in Rochester, New York, and in 1938, he was affiliated with St. Francis Lithuanian Catholic Church in East Chicago, according to newspaper archives. Charles J. Grigas—Saved from the Battlefield by his Trombone? Born March 4, 1896 in Pennsylvania to Mr. and Mrs. George and Petronele “Petrol” Grigas, both born in Lithuania. In addition to Charles they had a son, Stanley (b. 1898, Penn.) and a daughter, Helen (b. 1901). The family is recorded on the 1910 U.S. Census as living in Fancy Creek, Sangamon County. Charles is listed as a “street newsboy” and his father as a coal miner. 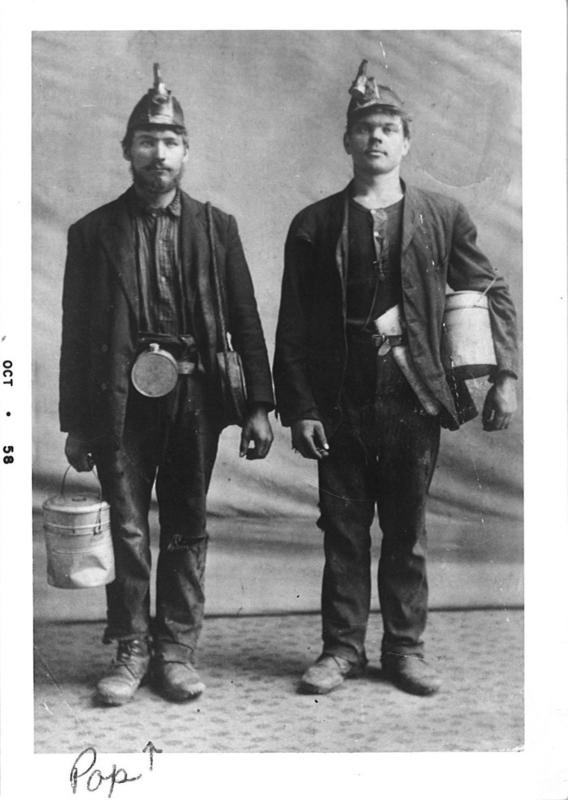 In their home were three Lithuanian-born boarders, each listed as working coal miners. Then just prior to WWI, the family moved to Springfield, with Charles entering military service on June 25, 1918. He trained at Camp Taylor and Camp Knox (both in Kentucky) and served as a Private in the Headquarters Company of the 69th Field Artillery, 170th Field Artillery Brigade. The 69th Field Artillery was assigned to the 95th Infantry Division during the war. Although both Charles and his brother Stanley both had registered for the draft, it appears only Charles was called up. The brothers were also musicians—and that seems to have saved Charles from being sent to fight overseas. He is listed as a bandsman in the Army playing “slide trombone,” per information in the Sangamon County Honor Book of WWI. He was discharged in December 1919 at Camp Knox. In 1920, the Grigas family was living on North 15th Street in a predominately Lithuanian- section of town. In 1921, Grigas married Della Pelton at St. Vincent de Paul Church and they made their home in Springfield. They had one daughter. 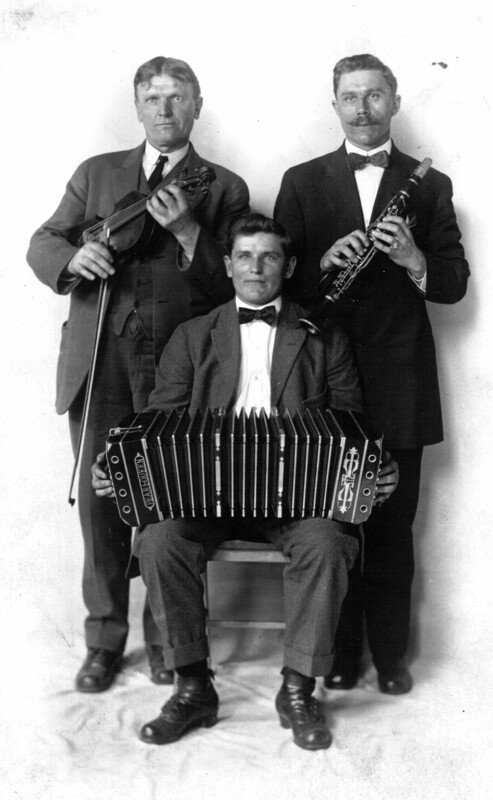 Well-known in local Lithuanian social circles for their “Grigas Orchestra,” Charles and his brother performed at weddings and accompanied the Knights of Lithuania’s renowned choir at St. Vincent de Paul Church and other venues throughout the 1920s, according to newspaper reports. The Grigas brothers also ran a grocery store and were members of the Springfield Musicians Union Local. Later in life, Charles worked for the State of Illinois. He died in May 1973 in Springfield and his siblings, Stanley and Helen, both passed away in 1986. On April 21, Springfield Lithuanian-American Laimutis (Limey) Nargelenas received the Lifetime Achievement Award of the Illinois Association of Chiefs of Police at the group’s awards banquet in Oak Brook, Ill. Limey was recognized for his dedication and versatility in serving the Illinois Chiefs in many different capacities since he rose to Superintendent of the Illinois State Police in 1984. Most recently, Limey was Manager of Governmental Relations (lobbyist) for the organization. But he has also been Deputy Director and Acting Executive Director, in addition to helping develop the organization’s training and quality assessment process for local police departments throughout the state. Since December 2015, he has served as full-time chief of Springfield’s Park District Police. Inspired by role models like his father, a pre-War Lithuanian Border Control Officer, Limey Nargelenas has pursued a life-long career in police work. Only a few years after the restoration of Lithuania’s independence in 1991, Limey had the privilege of traveling back to where his family story began to assist the fledgling independent police forces of Vilnius and Kaunas as a consultant and trainer with the Pointman Leadership Institute. While refugees from the Nargelenas and Snabelys families were scattered across the world, Limey and his immediate family ended up in Georgetown, Ill., due to the kind sponsorship of the Gustaitas family. It was there that five-year-old Limey faced the prospect of learning English at St. Mary’s Grade School, after already having learned Lithuanian and German. Limey’s father, like so many other former professionals, had no choice but to become a factory worker (and build homes on the side) to support his growing family in the U.S.
U.S. Embassy, Lithuania, Recognizes My Book! Congratulations, Lithuanian-Americans of Springfield, or from Springfield! 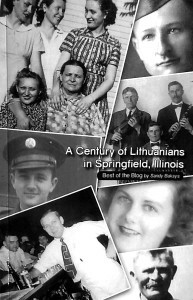 Yesterday the U.S. Embassy in Vilnius, Lithuania remarked on its official Facebook page about our wonderful local history and about my book, “A Century of Lithuanians in Springfield, Illinois.” The Google translation into English is a little rough, but you can get the gist. It profiles Linas Johansonas, editor of the popular 24/7 global Lithuanian news portal LTNews.net on Facebook. Linas is one of a new generation of Lithuanian patriots fighting Russian disinformation and cyber trolls online, and getting out the news the global Lithuanian community needs to know, along with reports of the purely captivating or quirky. Linas has also been deeply involved in Cleveland, Ohio’s rock & roll industry. I hope you enjoy the article. I didn’t sleep much on January 13, 1991, after the 1 a.m. phone call to my home in Lexington from my sister Terry in Richmond, Va. Between worry and tears, it was one of the worst nights of my life. So when the U.S. launched its Desert Storm assault on Iraq just a few days later, on Jan. 17, 1991, I took the microphone at a war-related rally at the University of Kentucky to remind people about what had just happened in Lithuania. It was the biggest crowd I had ever spoken to. Yet I managed to overcome my life-long fear of public speaking because it was eclipsed by an even greater fear. What if the new U.S. war, visible 24/7 on CNN, stole critical international media attention from Lithuania just as it was most endangered—right after unarmed civilians were killed by Soviet troops and tanks? What if the Soviets launched more such attacks when the world was no longer watching? The fate of an entire mass movement hung in the balance. And though safe on American soil, after Jan. 13–the date that changed everything–I was haunted by the fear of how far the Soviets might go and what might become of Lithuanian family I had recently met for the first time in my life. In 1989, my “DP” father Vince and his long-lost sister from Lithuania had been reunited after a separation of 45 years. This, along with the visit of my first cousin, had quickly unpacked decades of repressed World War II family history that suddenly appeared in danger of being repeated. In summer 1989, as I began to take account of the full scope of the trauma inflicted on my family, as well as the scope of the “Singing Revolution” that was building in Lithuania, action seemed required to help Lithuanians restore what Russian had so brutally taken. And after January 13, 1991, action seemed desperately required to keep Russia from brutalizing Lithuania again. It was a time unlike any other. Past was present and present, past. Pain and love, anger, fear, and hope all flowed in the same strong current. I grasped for any way I could help. I reached out to other Baltic-Americans and to anyone who would listen and act. I stood up to be the public face of Lithuania in the Lexington, Ky., Herald-Leader newspaper, and on local public TV and the NBC affiliate. At least four or five times during the spring and summer of 1991, thanks to a TV satellite truck, local news would cut from Gorbachev directly to my talking head, or to Baltic-Americans gathered in my back yard. Two of the larger events that I organized (with the help of my Iranian-American husband of the time) were a February 16 Lithuanian independence dinner, complete with folk dancing, and a summer 1991 “Baltic Bash,” where I showed invited media video footage from the January 13 attacks. Along the way, I addressed university classes and I almost constantly called and wrote the White House and Congress. I published two local op-ed features, and at least one letter in the Christian Science Monitor. I became volunteer Kentucky coordinator for the Lithuanian Communications Center in Philadelphia—my first and only service with the Lithuanian-American Community (LAC), and my first taste of a future career in PR. Maybe most of all, I worried. 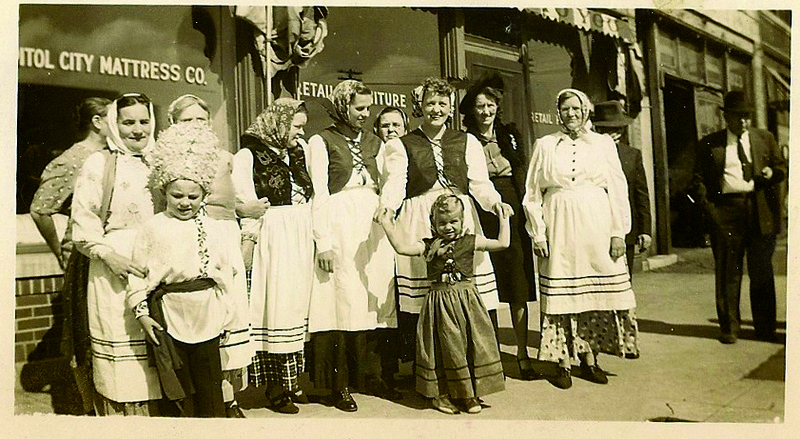 I thought constantly of the relatives in Lithuania and mailed packages and letters to my first cousin. Like so many others at that time, I struggled to read the meaning of weeks-long postal delays, overhung with the gnawing fears that were never far off, just like the colds and flus that beset me that entire year as a result of so much stress and worry. When it was all over and we had won, victory couldn’t have felt more personal. It was like we had won vindication for our dad, for our family—for the past. I never felt closer to my father and his story, and I never saw him more appreciative of his daughters who had worked so hard to help Lithuania. I realized how difficult it must have been for Dad to repress his story within the heart of his own family for decades, when his story must have seemed only a private misery in the midst of his wife and daughters’ American obliviousness. But how to talk to the unfamiliar and the inexperienced about a place that had disappeared from every globe and map? I’m sure Dad never expected to see his homeland go free in his lifetime. And yet we had done it, all of us working together–over there, mainly, but also over here. My father’s youngest sister was so unprepared for my sudden, sustained two years of “Singing Revolution” activism that she couldn’t share victory. “You did nothing,” was my late aunt’s only remark on the subject in a letter that ended up forever estranging us. Being a Lithuanian patriot from her youth, then a “DP,” and having given everything she had to “the cause” all her life, she surely saw my work as insignificant by comparison. But I will always know what I felt and did and all that I gave from my heart. I also remember how the Herculean task at hand, and the odds stacked against our movement, sometimes also drove me to disappointment over what my friends at the time were able or willing to give. As a result, it seems to me now that giving of oneself in desperation, or without limits, naturally leads to disappointment in the level of support from others. So I have no doubt that my aunt’s dismissive statement reflected the entrenched disappointment of years. Yet I am equally sure that I was far from the only Lithuanian-American who had never been active before, who rose up for family reasons when everything seemed to hang in the balance, and the impossible suddenly seemed possible. For that reason, I congratulate and applaud anyone, anywhere, who joined in the “Singing Revolution” by doing what they could do when it seemed to count so very much. At the bottom line, not to act while all of Lithuania was mobilized, while members of my own family were on the line, would have been unthinkable. I’m sure the same logic applied to tens of thousands in Lithuania, as well, resulting in the unstoppable momentum of a mass movement that ultimately achieved one of the most improbable peaceful political triumphs of the twentieth century. A few weeks ago, the State Journal-Register carried the obituary of Raymond K. Stockus, the last surviving member of the Lithuanian immigrant family that founded The Fairview Restaurant at 16th and Sangamon Avenue. Raymond’s father, Kaston Stockus, immigrated to the U.S. in 1899 from Šiauliai County, Lithuania, and became a U.S. citizen in 1904. 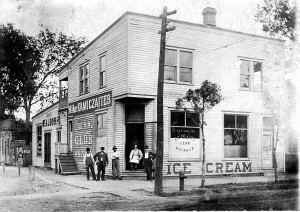 While working as a coal miner and butcher, Kaston boarded in the building that by 1913, he would buy, converting the first floor into a grocery that was subsequently licensed to sell alcohol. After becoming “Al & Joe’s” and later, the “Jolly End” taverns, by the 1960s, the business was converted into The Fairview Restaurant by Kaston’s daughter and Raymond’s sister, Ella Palusinki and her husband Alex. The Fairview, 16th & Sangamon, circa 1967. According to his obituary, Raymond Stockus was born to Kaston and Caroline (Compardo) Stockus in 1935, was a veteran of the U.S. Air Force, and worked as a radar technician at Garrett Aviation for 40 years. He leaves behind a wife, Joyce, and children Greg Stockus, Gail Walter and Julie Bates, as well as three grandchildren.